On this episode of the iDisciple Podcast, iDisciple CEO David Henriksen is joined by Dr. Tim Elmore, bestselling author and founder of Growing Leaders. 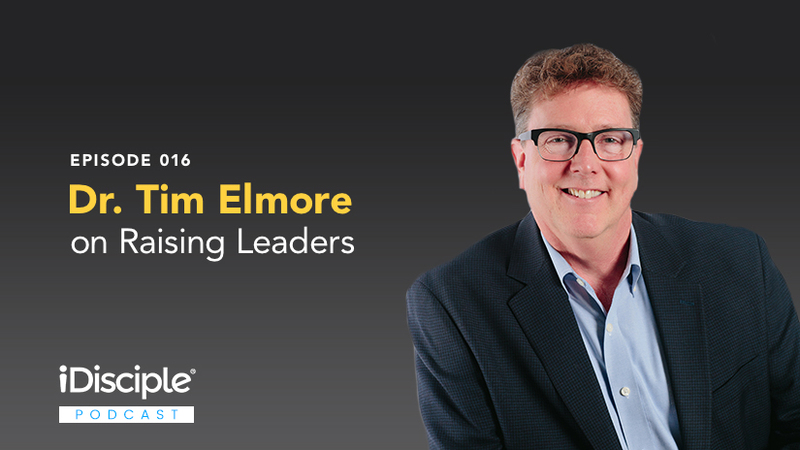 Dr. Elmore imparts some timeless wisdom about leadership he has learned over the years, and shares some of the missed opportunities and pitfalls adults are making when it comes to raising the next generation of leaders. Dr. Elmore founded Growing Leaders in 2003 with the goal of encouraging and equipping young adults to become leaders in their classrooms, their careers, and their communities. Through Growing Leaders, Tim uses his expertise on Generations Y and Z to equip educators, coaches, leaders, and parents to impart practical life and leadership skills to the next generation. Tim and Growing Leaders have used that passion to partner with over 8,000 organizations and have molded the lives of more than 500,000 leaders in 72 countries. Along with his role at Growing Leaders, Tim has authored multiple best-selling books about leadership, including the Habitudes series and his latest book Marching Off the Map: Inspire Students to Navigate a Brand New World. We pray that Dr. Elmore’s insight about leadership will inspire you to impact the next generation of leaders in your home and in your community! Dr. Elmore discusses some of the benefits and negatives of social media, and pleads with parents to openly discuss topics like social media with their children. Some of the ways Tim and his wife were able to openly communicate with their children growing up, and how we can learn from that. Why it’s important not to look down on or ignore the younger generation. Dr. Elmore explains some of his nicknames for different parenting types, such as the “karaoke parent”, and explains how these parenting methods fall short. What it means to give students a compass instead of a GPS. Why we should let students, children, and other young people fail instead of always coming to their rescue. If you would like even more life-changing content from Dr. Tim Elmore and Growing Leaders, download the iDisciple app! Since 2013, iDisciple has been leading people into a closer relationship with God through music, sermons, and devotionals, all in the palm of your hand! Check out iDisciple to learn more, and sign-up for iDisciple today.